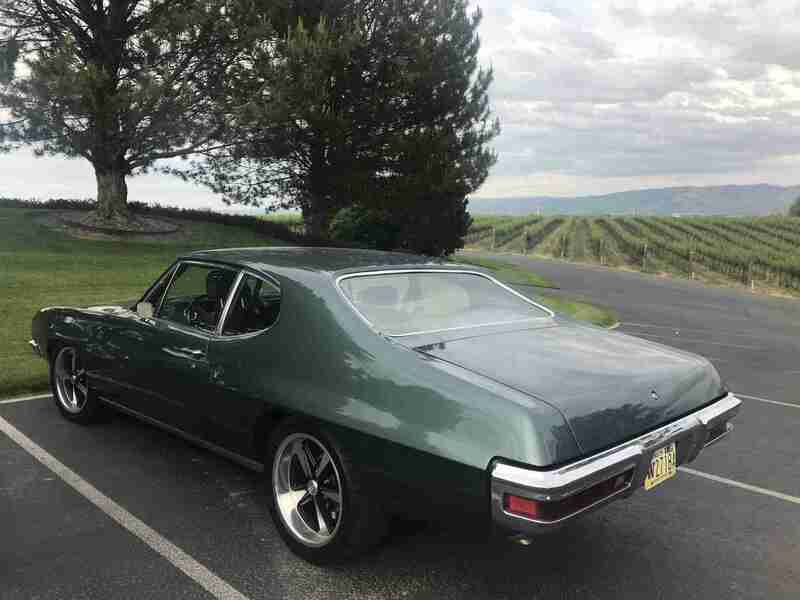 The original differential in my 1972 Pontiac LeMans was the 8.2 inch open 10-bolt with drum brakes. This is the worst rear end one could find in the GM A-Body. Asking the 8.2 to hold up to the 400 cubic inch Pontiac engine is like asking Justin Bieber to lift the corner of your Suburban so you can get a jack stand underneath it. The rear end’s open differential means power is distributed to the axels in a 50/50 ratio, regardless of whether the tire has traction. The rear drum brakes result in the C6 rotors on the front performing almost all of the stopping action. New parts recently arrived to remedy these shortcomings. 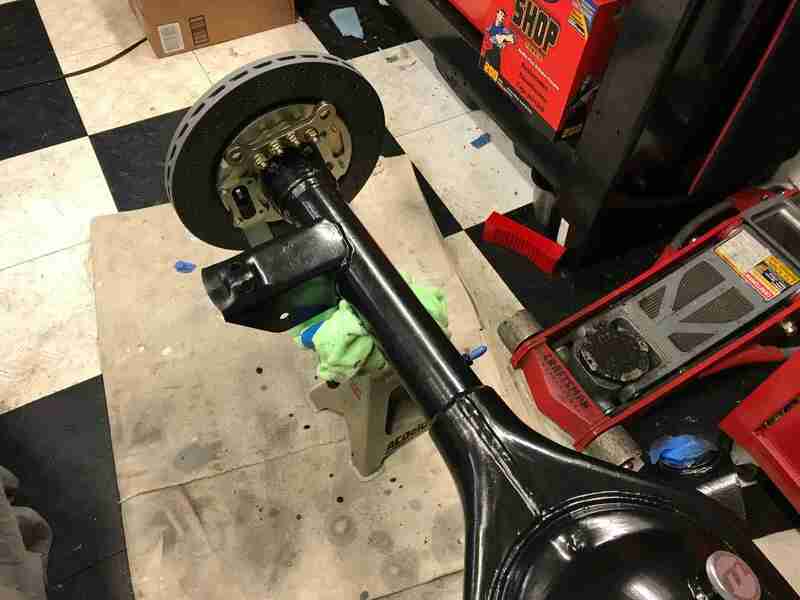 A Moser built Ford 9-inch housing came to the rescue. Kore3 C6 Corvette rear disc brakes mount to the ends of the housing. Moser 31 spline axles transmit power to the wheels via a Truetrac posi. 3.50 gears reside in the Moser case. This solution should prove to be durable, as the Ford 9 inch rear end is known to be very strong. 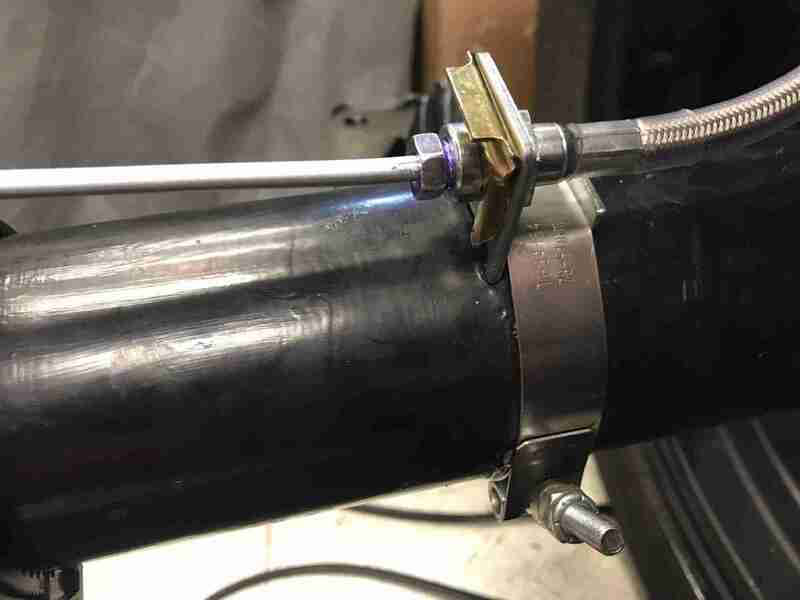 When swapping out the rear end, I renewed the steel brake lines running along the axles and replaced the flexible brake hose that connects to these lines with stainless versions. I purchased a new emergency brake cable from Lokar to work with the C6 Corvette e-brake levers. Lastly, I ordered a new custom-built driveshaft from Denny’s Driveshaft. I bent and flared the brake lines myself. Miraculously, everything bolted together without incident. I filled the pumpkin with the synthetic gear oil that Moser sent and proceeded to install the rear end into the car. This went smoothly, as the RideTech suspension was recently installed, so all of the bolts and nuts were fresh. My big fear that kept me up at night, me having measured the driveshaft length incorrectly, was put to rest when it fit perfectly. The initial break-in process involves putting the car on jackstands and running the car in gear in forward and reverse. I supported the car on the heaviest duty jackstands I have, started the car and ran it through the gears, per the instructions, ready to apply the brake and push in the clutch at the first sign of instability. 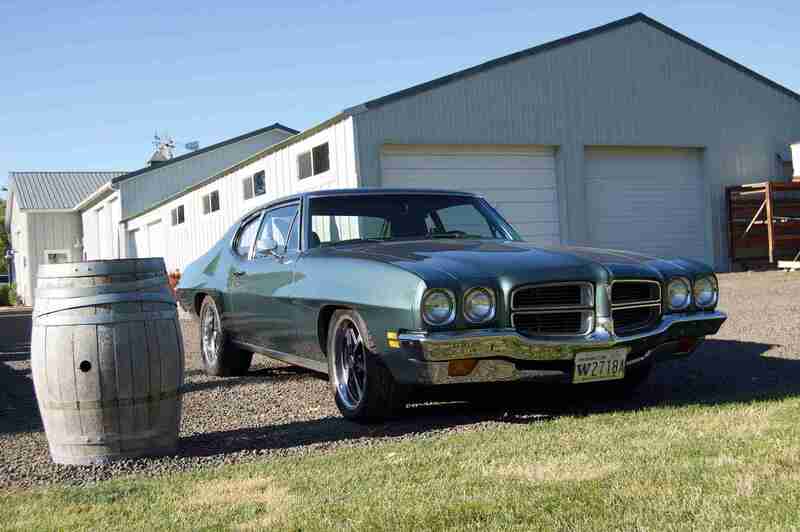 Ramming a LeMans into the house would have seriously ruined my day and pissed off my wife. I would have never heard the end of it from my daughter. Ten minutes later, the car was still in the air and I shut down a successful break-in of the differential. The break-in test drive proved that this new set up should be sound. I was so confident in the LeMans, that I decided my wife and I would drive it 280 miles to Walla Walla, WA for a brief vacation. The trip revealed a leaky axle seal on the driver’s side that I will need to address. The bolts holding the front sway bar together worked their way loose and fell off when we were on our way back to our rental house. When taking an older car on vacation, I recommend renting a house from someone who is a car enthusiast and has a large onsite workshop and is happy to help. Jack, the owner of our VRBO, is such a person. He had the bolts and thread lock I needed to make the repair and in no time, the RideTech sway bar was back in one piece. If you are installing a RideTech sway bar, I recommend red Loctite for those bolts. Basel Cellars in Walla, Walla. We returned home from Walla Walla safely. I researched the leaky axle seal situation, ordered a new seal, and non-synthetic differential fluid, which Detroit TrueTrac recommends one use with their differential, apparently unbeknownst to Moser. who sent the synthetic gear oil. Some Hylomar blue sealant should help prevent the seal from leaking, as well. This should be the first car project I tackle in my new garage, and then the LeMans will be ready for its next major upgrade. I know, you can hardly wait, right?